Some 20 odd years ago, My parents hired a guy “Joe.” Joe was a hard working handy man. Nice guy, but he was a handyman, not a contractor. The drywall was hung with nails, now there are pops everywhere. The pot lights were the wrong type with the wrong fire rating. They got so hot that they changed the colour of the paint around them. The wrong sub-floor was installed, and, all the large tiles he laid would crack. After this my parents decided to hire a company of 6 guys who worked as a team. They hoped that this would get them the home they had been wanting. Instead of the previous slow progression over the last few year years, as professionals they had a plan and executed it well. Within two months they had put down sub-floor and installed hardwood floors. They dry walled every room. They removed and replaced the entire kitchen as well. It was amazing to see what a well coordinated team could accomplish while working with a receptive client. While at first they were startled by the pace of work and professional attitude, when they saw the results they started to build a relationship of trust with the new contractor team. While my parents had worked out a smart payment schedule with their new contractors, they had paid Joe along the way in a series of cash handovers, with almost no receipts. Projects took much longer then expected, there was no time line and no final budget. They couldn’t possibly say whether they got a deal, or even a market price. So how can you keep track of all of these factors to follow your project along? So you’re about to undergo a major renovation or building your new home. Well congratulations you have exciting times ahead. The ability or even just the will to take on this challenge is thrilling and scary. What starts out as fun can quickly turn into a stressful time if the right company and the right people are not chosen for the job. The obvious first thing to remember though is to not hire “Joe,” our one-man operation who will undoubtedly make it the most stressful for you. Most owner stress stems from going over budget or “surprises” found behind the walls. Renovations on old homes especially can have issues where old designs that aren’t to code suddenly have to be changed. What is the best way to avoid this unnecessary stress? Research, plan out your project and budget well. If you do these three things, you will have exponentially less trouble in your life. So the one question that you should be asking is what will my pricing model be? 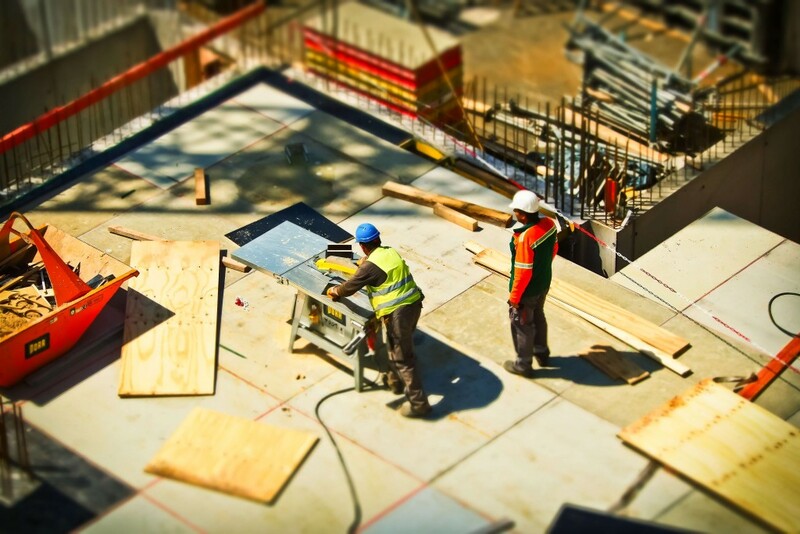 In construction, contractors often provide a “fixed” price and a time and material model. They will survey your job-site and plans and then provide an estimated cost quote to you. Fixed price model means the price is held constant and firm, which includes labour and materials, is not subject to change. Like all things in life, this does not mean that it isn’t subject to change though. Time and material model means the owner agrees to pay the contractor based on time spent and cost of materials used in the construction. On top of this there is a markup ranging between 15-25% to cover overhead, soft costs, insurance etc.. Some of their responsibilities are to prepare a detailed budget schedule, scope of work, value, engineering and providing 2-3 quotes with their recommendation on which contractor to choose. You have them take on these roles so that you don’t have to. This saves you personal time and headache, at the expense of money of course. There are additional pricing models but essentially, they are a mixture of the three noted. So you may be asking, what is the best model? Well as always, it depends on the project. All these pricing models are bound to fail if the drawings are inadequate and scope of work is unclear. This always results in “project creep” or “extras” added to the budget. Contracts, procedures and scopes of work, exist so that projects go smoothly. When your drawings are inadequate, work will slow. If workers have to stop to clarify measurements, or managers have to order some item that is required but not described, the budget will get out of your hands. If you are building a new home using standard materials, designs and common construction methods. Then, you should probably be using the project management model or the fixed price model. A complex new house or a major renovation would be best served by using: Project Management Model or a Hybrid Model. These projects almost always go over budget. A hybrid model will work best for you when applied to portions of the job relating to materials and time. Specifying an upper limit on costs or time. In this case overages in materials and time will be the responsibility of the contractor. Further, having excellent drawings and detailed scope of work allows you to compare bids and choose one which makes the most sense. If contractors don’t have access to all the information, how can they possibly make informed bid? When drawings and details are lacking it is always best to go with the time and material model. Final Tip: Never ever go with the lowest bid unless you know why they are the lowest bid.